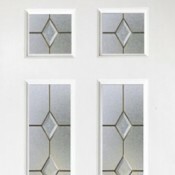 3 Coloured Fusion tiles, traditional antique leadwork and sandblast effect film help create a stunni.. This door gives a hint at what we are capable of making. 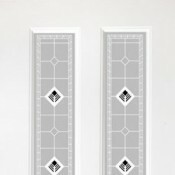 The design shown is a sandblast image of Wi.. 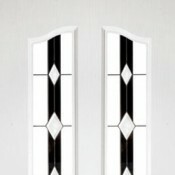 The Classic style door allows for both the top and the bottom panels to be glazed if required. Here .. 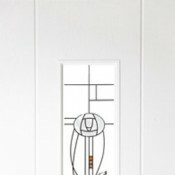 Showing our Andromeda glass design with gold lead and bevels.. 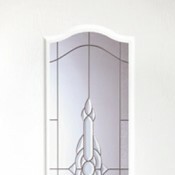 The design is made up of lots of smaller sized glass bevels and finished off with traditional lead a..
A sandblasted design that is enhanced by the use of Fused glass tiles. 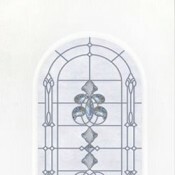 They are shown in blue but ar..
A very popular design made up using traditional silver lead and glass bevels. 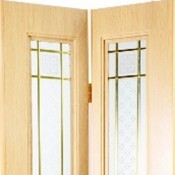 The design can also in..
A simple but effective look is achieved in this door by the use of traditional lead. 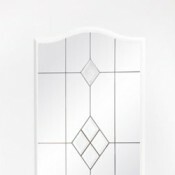 The door is sho.. 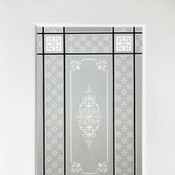 The design incorporates the original Queen Anne layout using traditional leadwork. 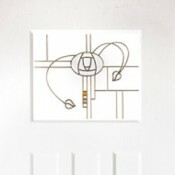 Shown with silver.. 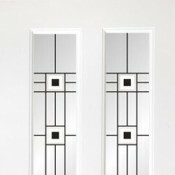 The design is based around the famous Mackintosh style. The coloured film shown can be easily change.. 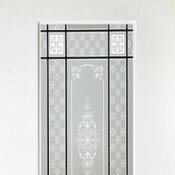 The design shown is a perfect example of how the use of Minster patterned glass can help enhance the..